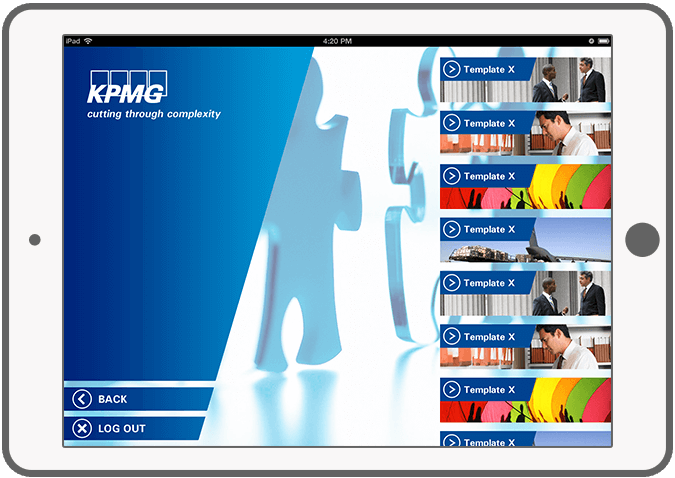 KPMG Fine II app solution is an extension of the KPMG Fine app project that was successfully launched in 2013. 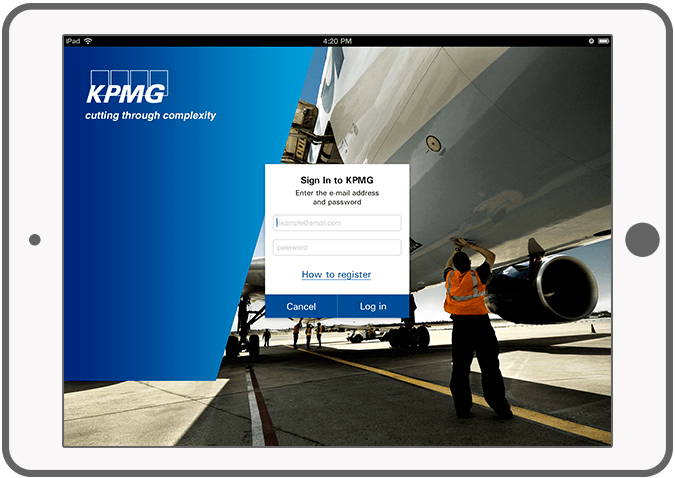 KPMG Fine app informs companies about critical risk areas on international laws and regulations. 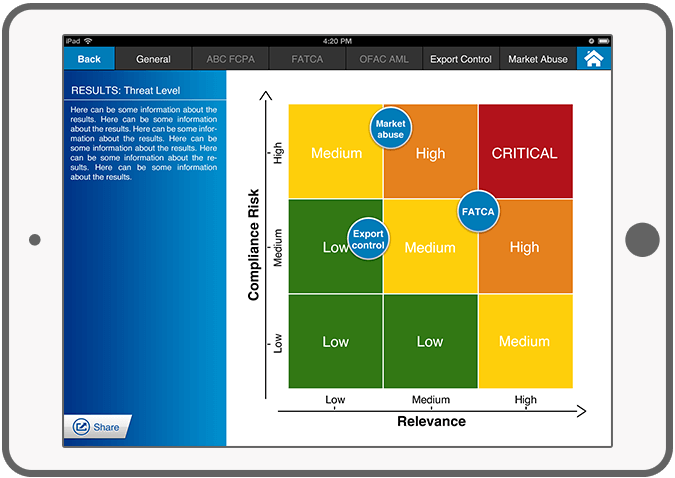 After going through an interactive and intelligent questionnaire, the user gets a 'heat map' with the position of his business. 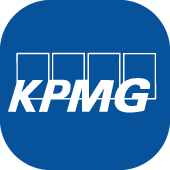 The results of the questionnaire provide the KPMG consultant and the client with the necessary tools to define the desired path to get to an acceptable level of risk. 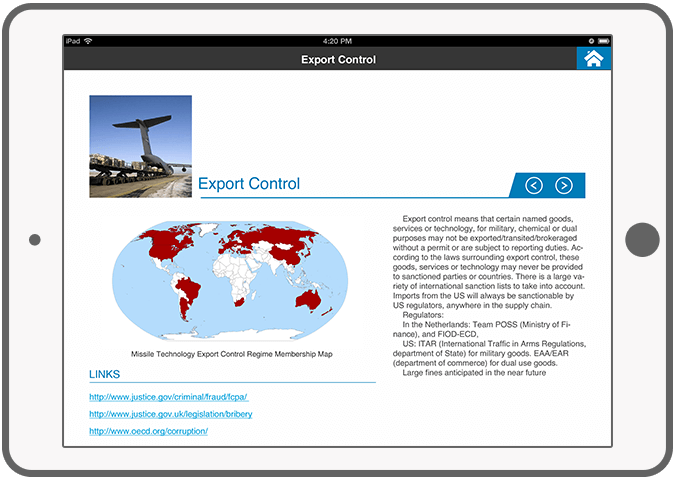 DTT has taken care of this project for both the design and the development of the app and server solution. 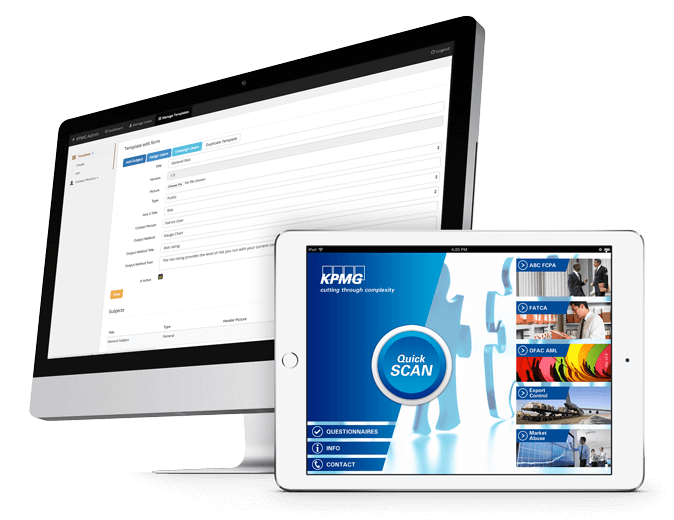 If you want more information, visit the KPMG website. 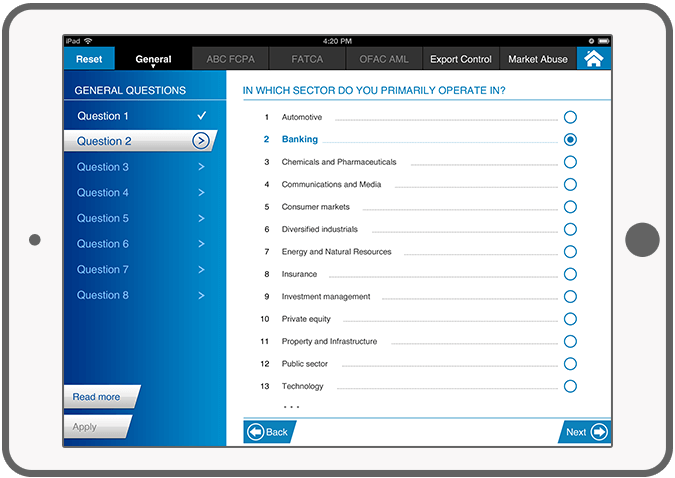 Dynamic and interactive questionnaire with an intelligent question-and-answer structure. Library with relevant risk areas. Formula calculates relevant position on the Heat Map according to the received answers. Send a compilation of the results to employees and customers by e-mail. Log-in option on the iPad for different types of users. Depending on the user, certain data will be displayed. 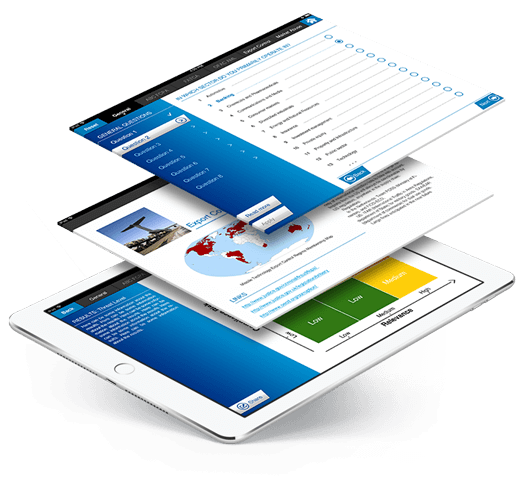 Templates, questionnaires, users and formulas fully manageable via CMS. 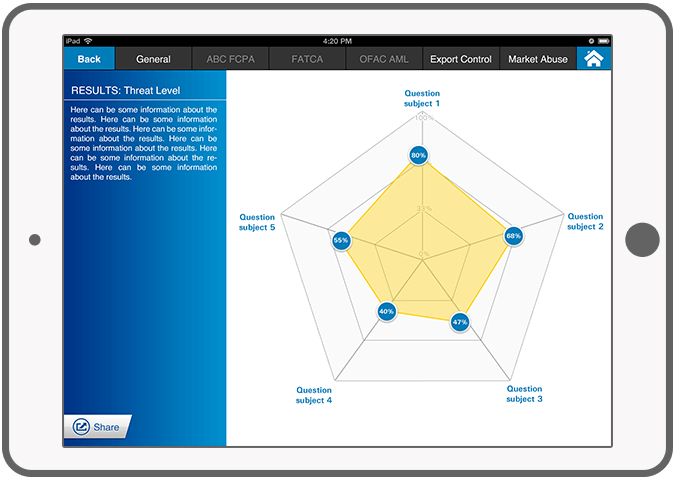 See the results of the completed questionnaires in the spider chart. 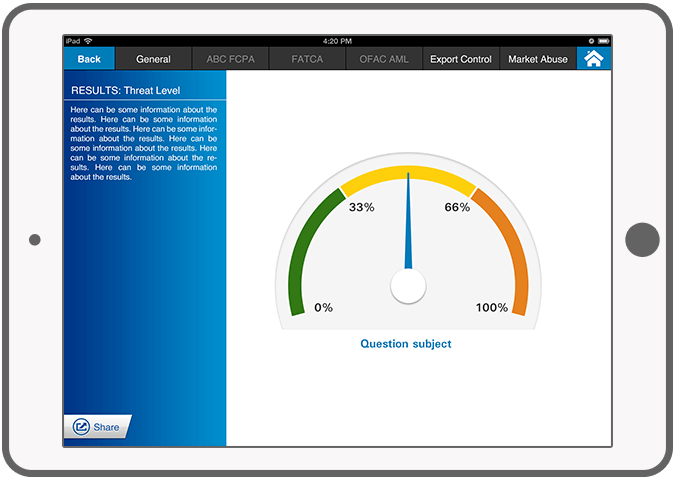 See the results of the completed questionnaires in the gauge chart.